... was founded in 1999. We offer software development and consulting in a broad area of applications. We both obtained our Ph.D. at the Institute for Rf-Engineering (Prof. Ermert) which is a part of the faculty of electrical engineering and information technology of the Ruhr University Bochum. 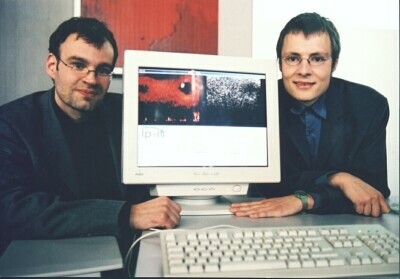 July 1999 The foundation of the company was supported by the state government of NRW within the PFAU program for startup companies with new and innovative product ideas. The company becomes a partner of the center of competence for medical technologies at Bochum, the Competence Center Ruhr, which is financed by the German Government.